We think of this project as an urban oasis—a jewel box glowing in an emerging downtown Seattle neighborhood. 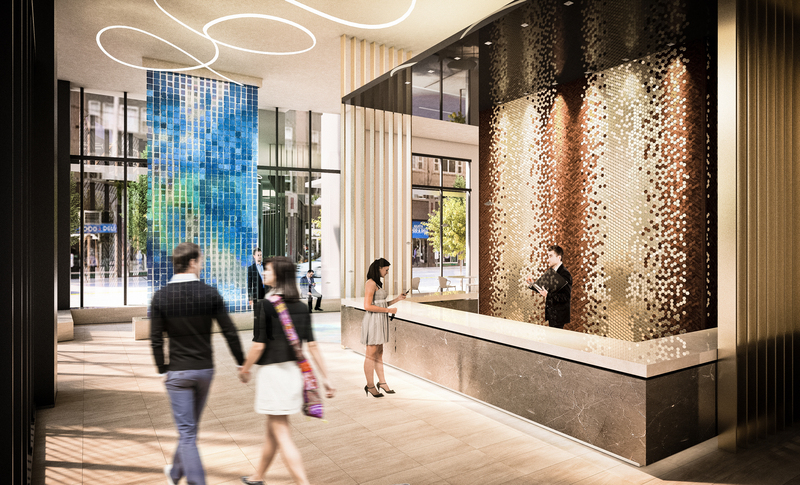 The fundamentals of the ancient Chinese philosophy of Feng Shui guided both the detailing and selection of materials for The Stewart Street hotel, creating a sense of wonder as guests are welcomed into a stunning lobby. 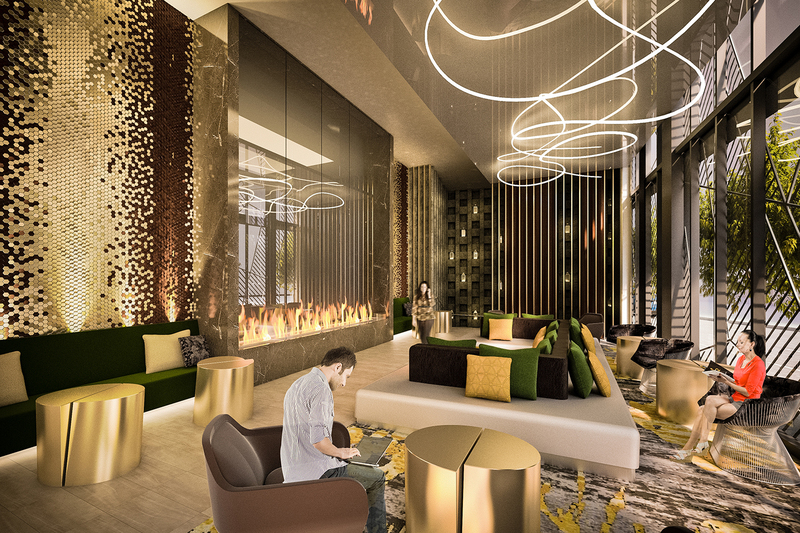 Inspired by the five elements of Feng Shui—wood, fire, earth, metal, and water—the lush interiors captivate guests from the basement karaoke bar up to the elegant hotel bar on the 15th floor. A variance in textures and depth creates visual surprise while linking beautifully with the exterior skin.